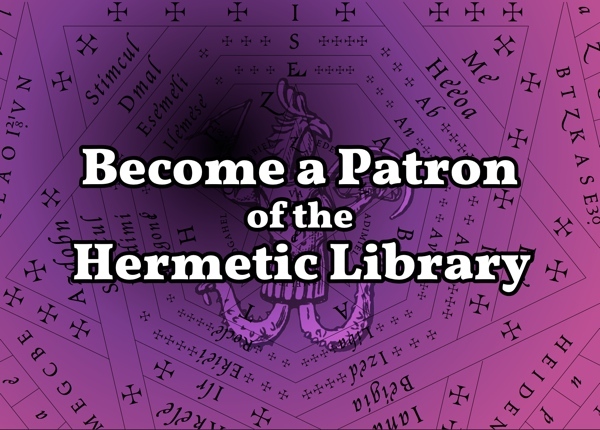 Hermetic Library Fellow T Polyphilus reviews Thelema: An Introduction to the Life, Work & Philosophy of Aleister Crowley by Hermetic Library Fellow Colin D Campbell. As the title says, this book is an “Introduction” to Thelemic teachings and practices. It assumes no previous knowledge on the reader’s part, and offers only a primer-level treatment of its topics. It is clear and fairly comprehensive, however. Grizzled veterans of Thelemic magick will no doubt find nits to pick, but this book also gets some things correct that are often misrepresented in other books for beginners (e.g. the sequence of the N.O.X. signs). The prose style is informal on the whole, and the book does a respectable job of making its subject matter accessible to an uninformed readership. The first sixty pages or so consist of a biography of Aleister Crowley, which is fair enough but has only its relative brevity to recommend it in comparison to others available. A major part on “philosophy” follows, and then finally one on practices. At the end of each short section throughout the book, author Campbell makes recommendations for further study, which are prudent and helpful in a book of this sort. 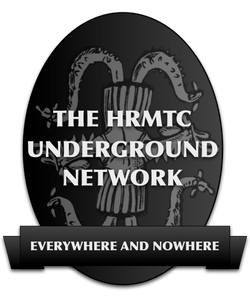 These are usually focused on primary sources written by Crowley or his predecessors. This book, like many of its type, includes an unauthorized version of the full text of Crowley’s Gnostic Mass, which while common, I don’t think is a great favor to the beginning student, and it comes off seeming like it’s “padding” the author’s own text. I would rather have seen a brief explanation of the often-misunderstood relationship between EGC and OTO, and Campbell’s own (admittedly non-authoritative) take on the purposes of the Gnostic Mass in practice. 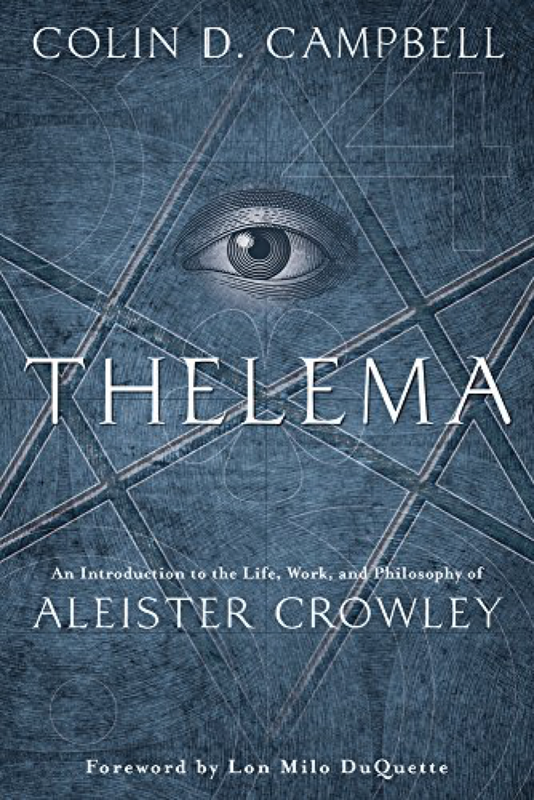 At the book’s end, he refers interested readers to the legacy institutions of Crowley’s Thelema: OTO and A∴A∴ He gives a nod to the contemporary dilemma of competing A∴A∴ representative-claimants and lists addresses for two of them. The cover of the trade paperback edition is quite attractive, and combined with its affordable price, I suspect that Campbell’s Thelema may become a point of entry for curious young readers exploring modern occultism. They could certainly do worse. Its reasonable advocacy and rather undemanding exposition would suit it to shelving in public libraries, as far as I’m concerned. 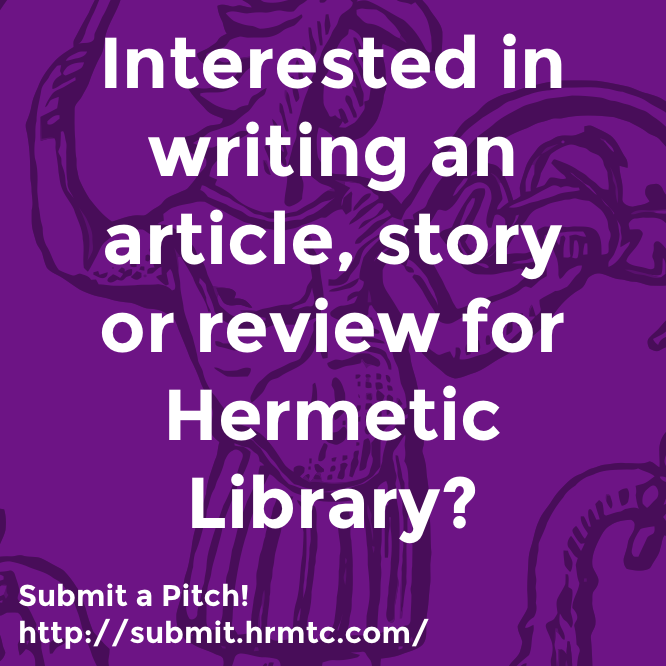 This entry was posted in Hermetic Library Reading Room and tagged book, Colin D. Campbell, review, T Polyphilus on January 14, 2019 by John Griogair Bell.